Tabango was a barrio of San Isidro, Leyte. Its early settlers came from the islands of Cebu and Bohol and from the towns of Villaba and Palompon. Later as the transportation improved same personage from the eastern side of Leyte Province found fortune in the place. These people were responsible in molding its culture. In 1948, prominent residents of Tabango, took the opportunity offered by the late Jose L. Alvarez to work out in Manila thru Senate President Mariano Jesus Cuenco, the establishment of a new political unit. Documentation were initiated with the assistance of the Late Rosendo Homerez of Tacloban City, whose wife was native of Tugas, now a barangay of Tabango. Eventually, Executive Order No. 284 was signed by His Excellency President Elpidio Quirino on October 15, 1949 creating the Municipality of Tabango, Leyte. The first set of officials were appointed and sworn to office on January 16, 1950, to wit: Francisco Pastor (Municipal Mayor); Felomino Ocubillo (Municipal Vice Mayor); Adolfo Alvarez, Honofre Damayo, Potenciano Pijo, Mauricio Sevilles, Mateo Pastor (Councilmen). The doctrine in the case of Pelaez vs. the Auditor General, G.R. No. L-23825 promulgated on December 24, 1965, placed the Municipality of Tabango in a great dilemma. It was in this case that the Supreme Court ruled and declared certain orders creating municipalities unconstitutional on the ground that the creation of municipalities is an exercise of the legislative power. On this premise, creation and exercise of the Municipality of Tabango, Leyte was illegal. However, the cloud that darkened the juridical personality of Tabango as a municipal corporation disappeared with the introduction of House Bill No. 2042 during the seventh congress by the Hon. Congressman Marcelino R. Veloso, Representative of the 3rd District of Leyte. The bill proposed to create the municipalities of Almeria, Cabucgayan, Tabango and Culaba, with retroactive effect in order to validate the existence of the aforementioned municipal corporations. 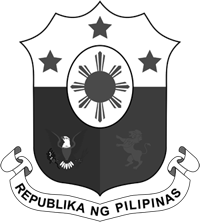 The bill was finally approved into law on June 17, 1972 as Republic Act 6488 retroactive on October 15, 1949. Under section 3 of Republic Act No. 6488, the “Barrios of Sta. Rosa, Tugas, Poblacion, Campokpok, Catmon, Gibacungan, Gimarco, Manlawaan, Inangatan, Butason I, Butason II, Tabing, Omaganhan, all in the Province of Leyte, are separated from the Municipality of Leyte and San Isidro, and constituted into a distinct and independent municipality, to be known as the Municipality of Tabango, same province. The seat of government of the new municipality shall be installed in the present site of the Barrio of Tabango. Tabango was originally a barrio named Tandaya. Most of its inhabitants lived near the seashore. One day, a man living in the barrio went to catch some crabs as swamps surrounded the place and crabs were abundant. Although he was an expert in catching crabs, he was accidentally bitten by a big one. A Spanish soldier happened to be near the place where the man was, so he came near and asked for the name of the place. The man bitten by the crab looked up and saw the soldier. Feeling the pain caused by the biting of the crab, he cried, “ Tabang mo,” which means help me. The soldier, thinking it was the name of then place, said, “ Ah, Tabango. “ The soldier repeated the word Tabango to his superiors and from that time on, the settlement was called Tabango. When the barrio was created a municipality, it retained its name.